As part of our environmental strategy for providing greener travel, the University offers a cycle to work scheme and a range of discounts on public transport. Those employees who need to drive to work also have access to a new fuel efficient employer provided car scheme, a car sharing scheme and discounts on short term car rental. The University has a cycle to work salary sacrifice scheme. A number of cycle shops offer discounts on cycles and accessories to University employees. All you need to do is show your University card. Details can be found here. CAMbens Cars is a salary exchange car scheme that provides eligible employees with the opportunity to select a fully insured car for two years with the additional benefits of maintenance including tyre and glass replacement, road fund licences, servicing, breakdown assistance and accident management all included. 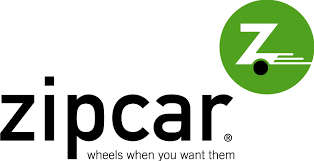 Zipcar offers a range of self-service pay-as-you-go cars to University employees with a discounted joining fee. Zipcar's range of self service cars and vans are available 24/7 for rent by the hour, day, week or month. With a large range of vehicles throughout Cambridge, Zipcar is a convenient, cost efficient, environmentally conscious alternative to owning your own car. Half-price private membership is available for University of Cambridge staff and students. If you are employed by the University for three months or more you can apply for an interest-free travel to work loan up to your monthly net pay (or a maximum of £2,500, whichever is the lower). The loan is for the purchase of an annual bus or rail season ticket at standard class travel, or to assist with the purchase of a bicycle and associated safety equipment. The Universal bus service operates between Addenbrookes, West Cambridge and the Madingley Park and Ride with an additional stop at the railway station. Discounts apply for University card holders, just show the driver your card and pay just £1 per journey. Non University card holders also get a reduced journey price of £2. Click here for more information. Other weekly and monthly ticket options are also available for Whippet services. For ticket options click here. A 10% discount rate on the purchase of train season tickets and bulk buy tickets is available on certain routes for University employees. The University has subscribed to CamShare, an electronic car sharing database for employees of Cambridge organisations that is operated through the Travel For Work Partnership. University staff are able to register as users and search for car sharing partners. The service is free to staff. More details are available on the CamShare website.